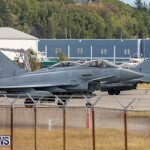 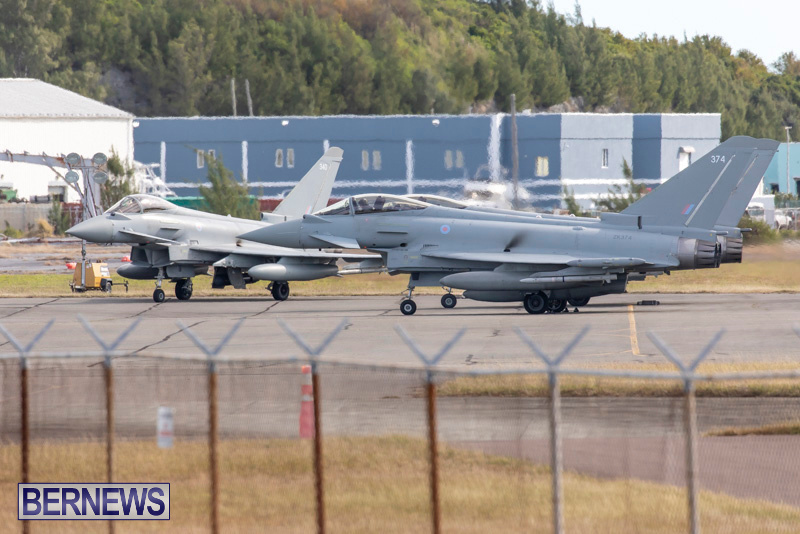 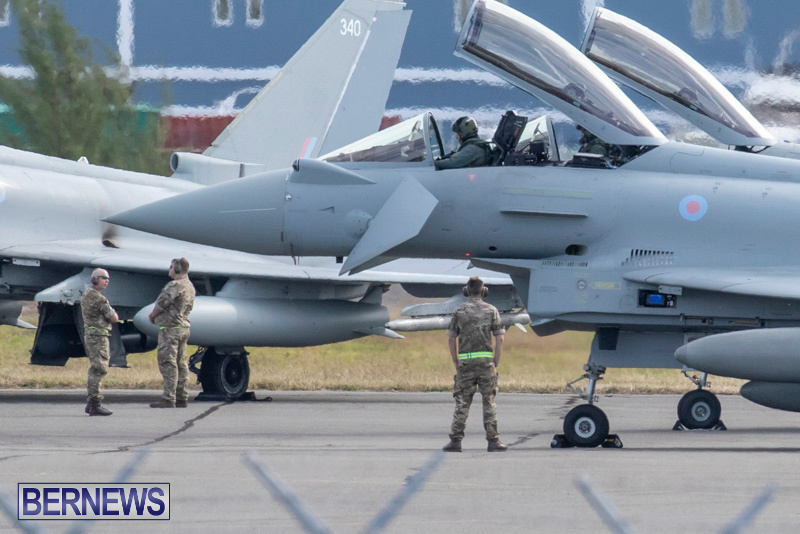 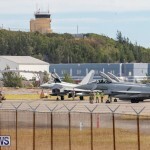 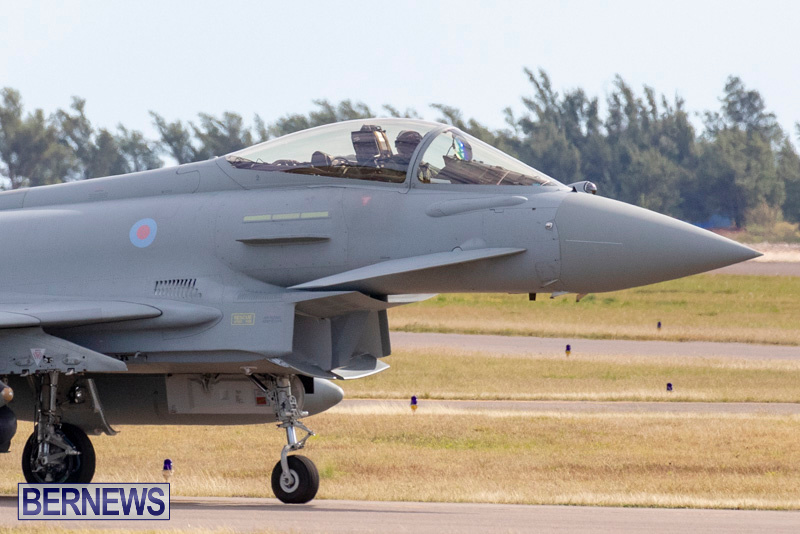 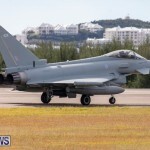 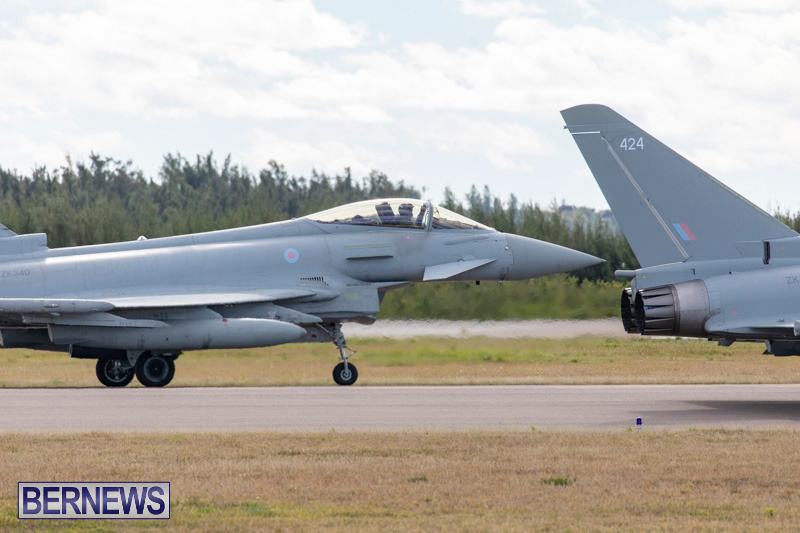 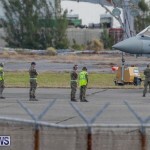 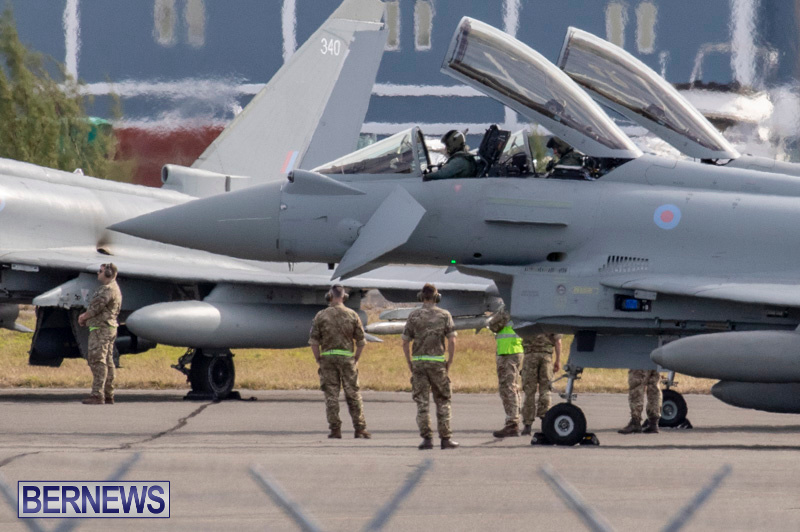 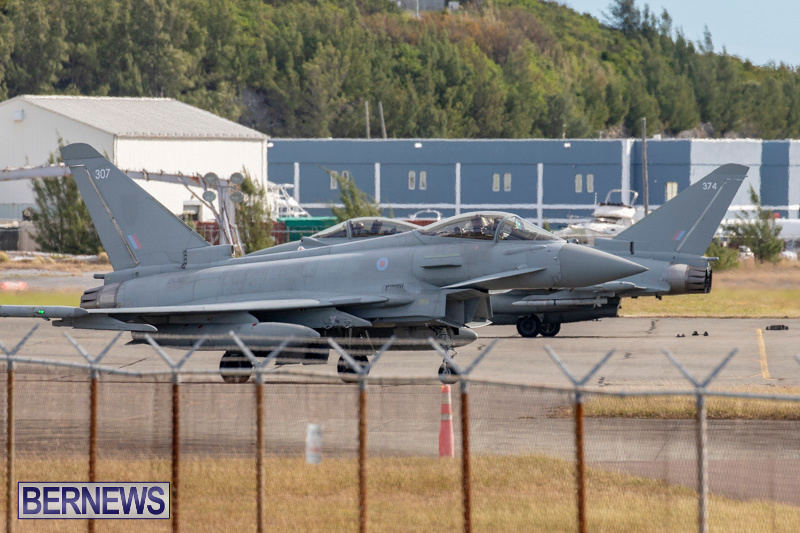 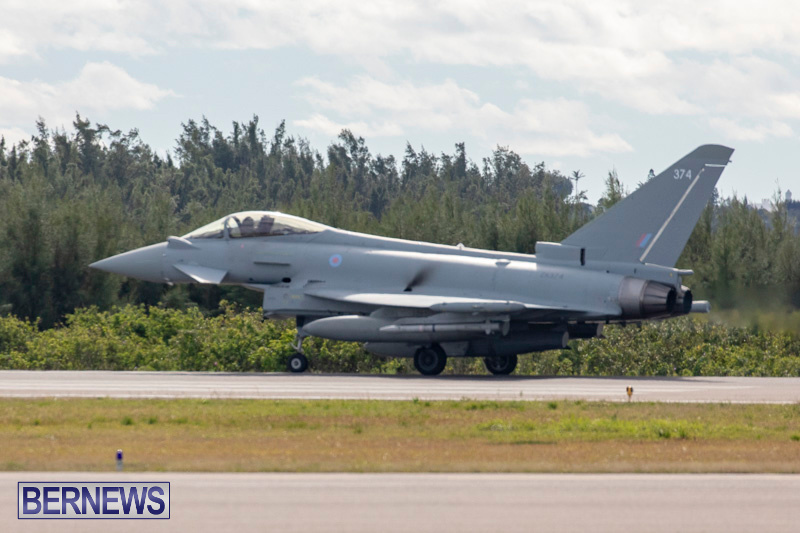 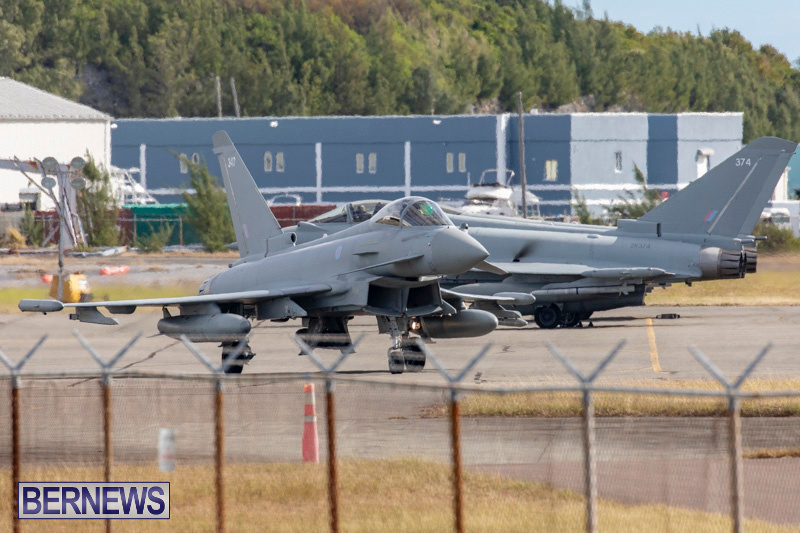 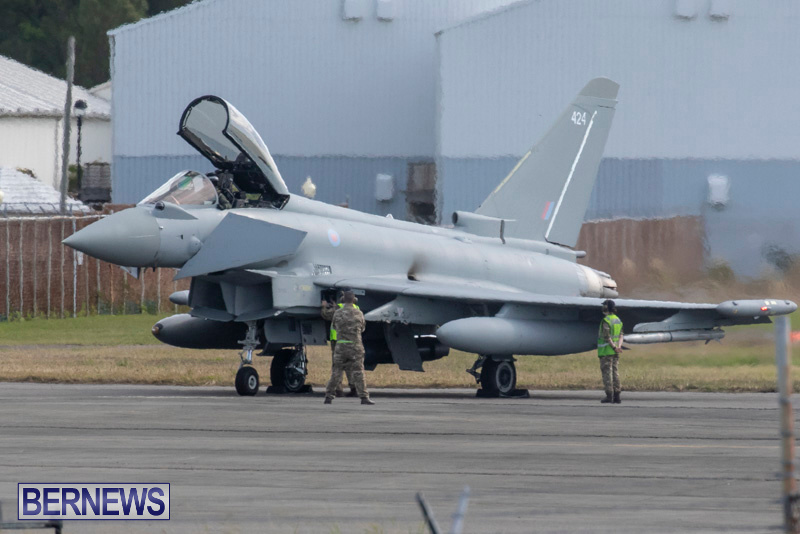 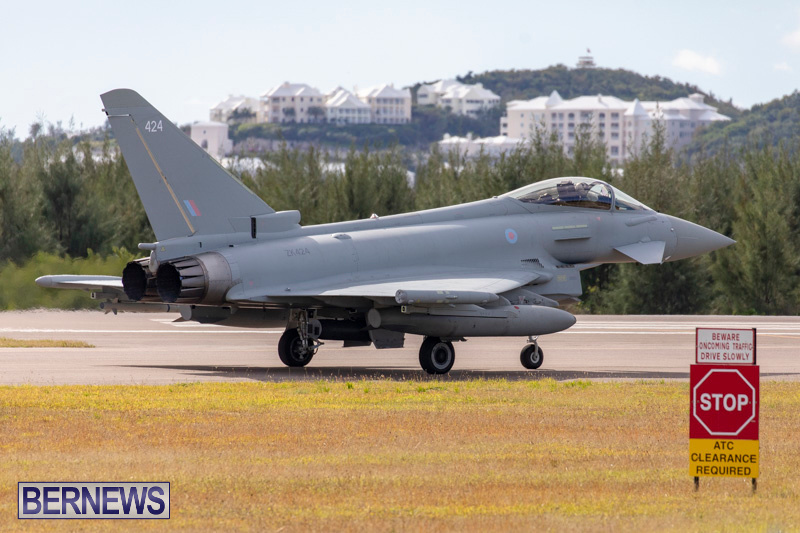 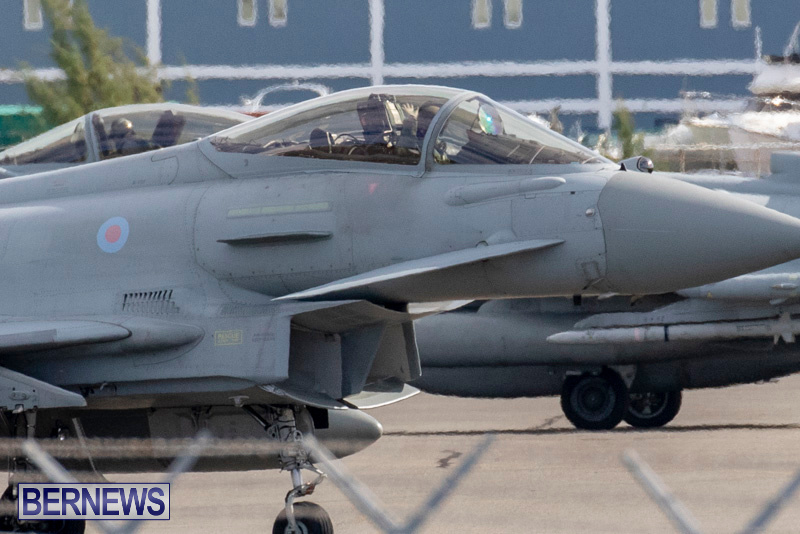 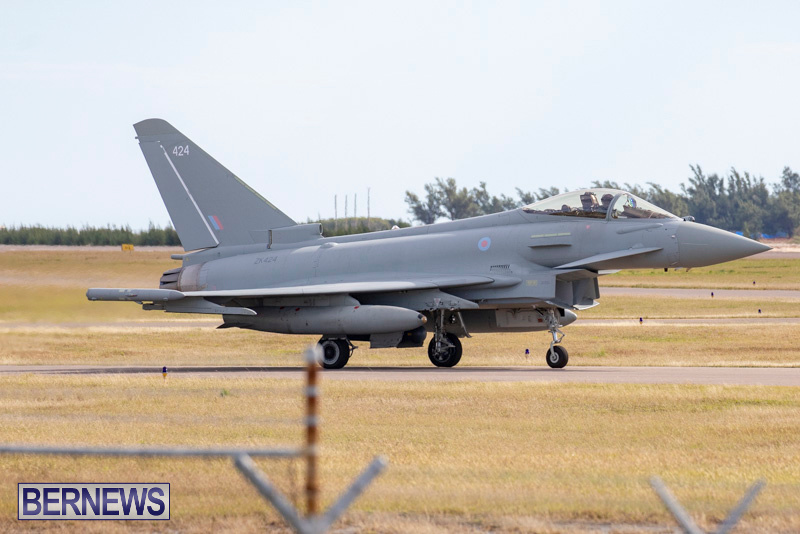 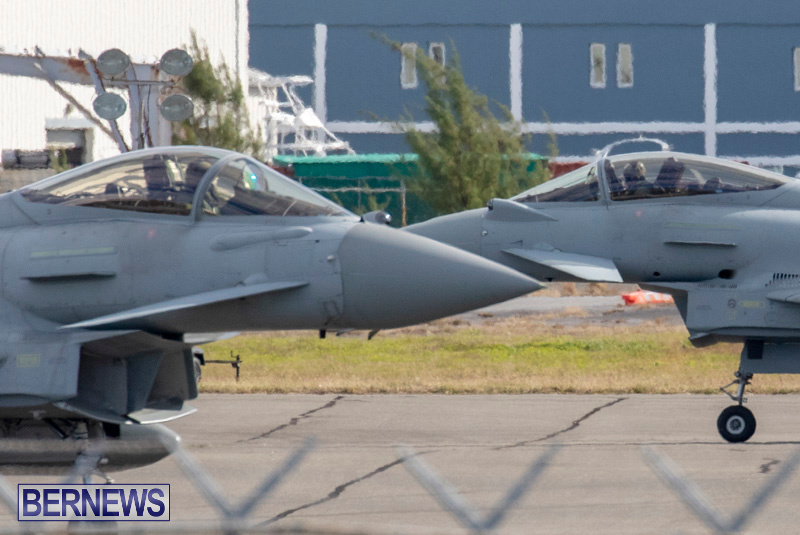 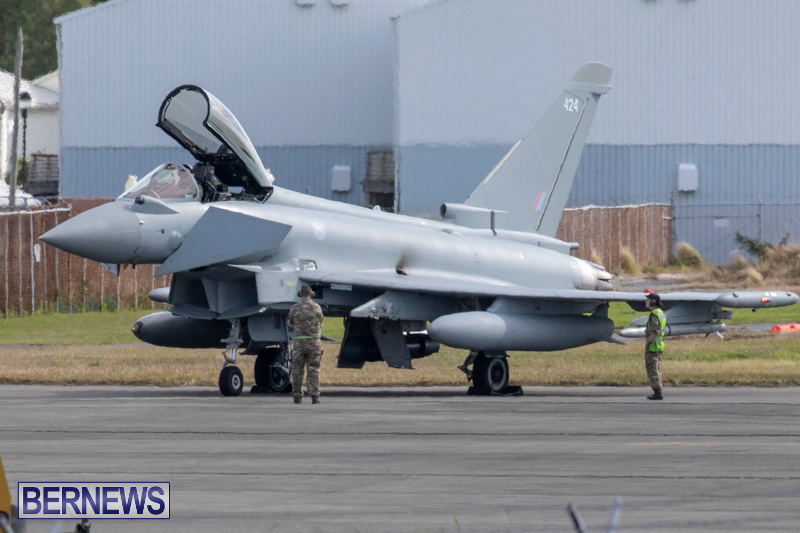 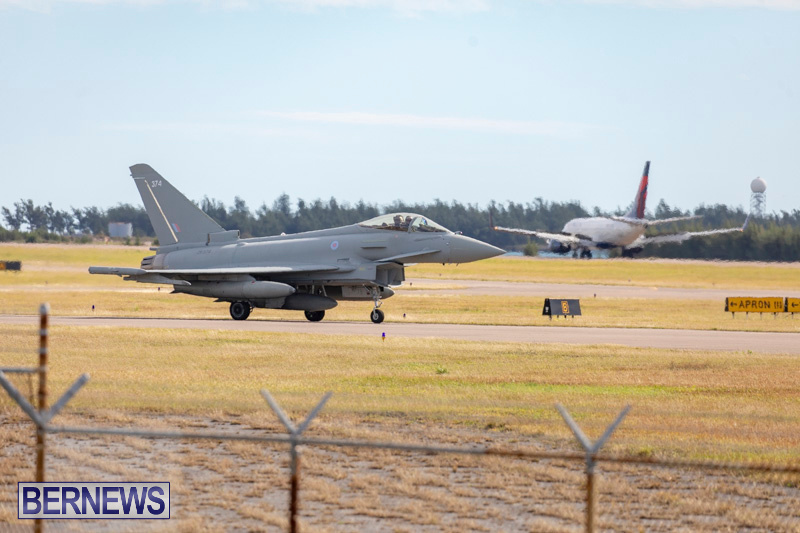 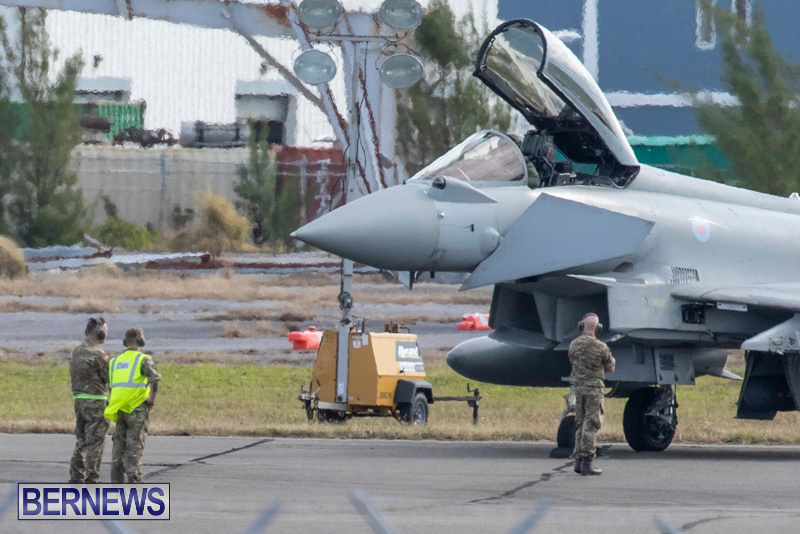 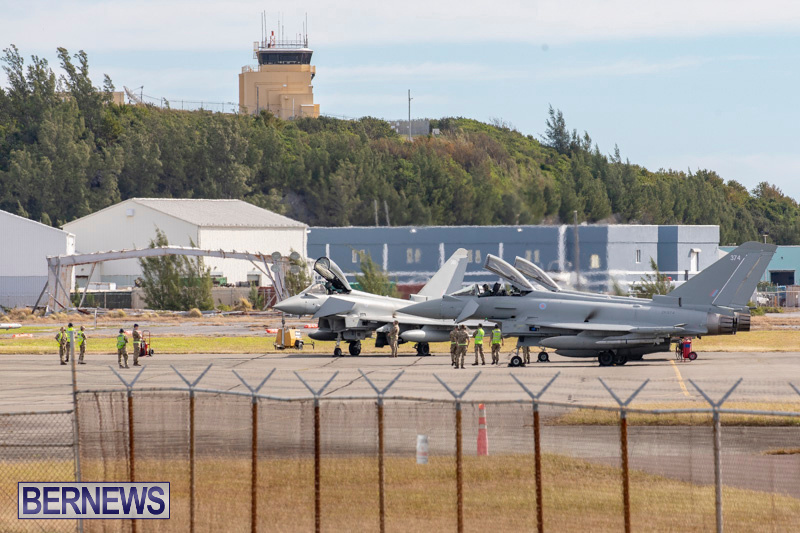 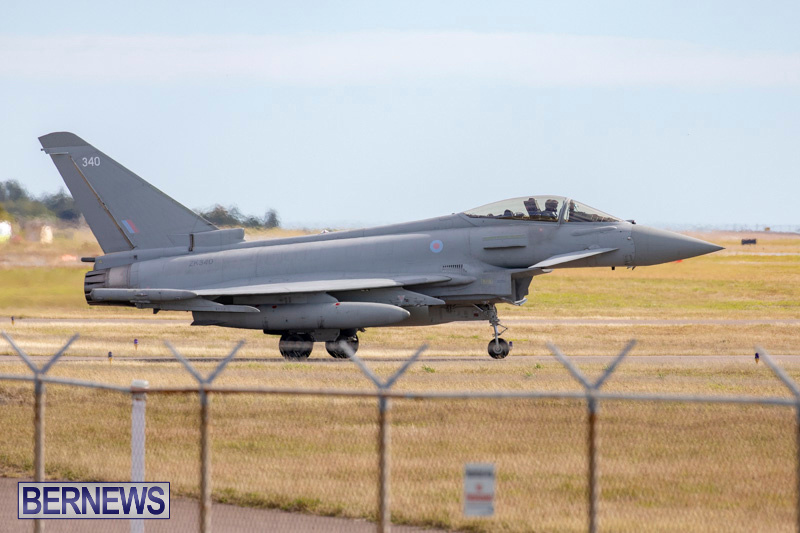 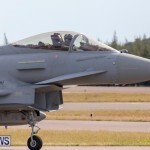 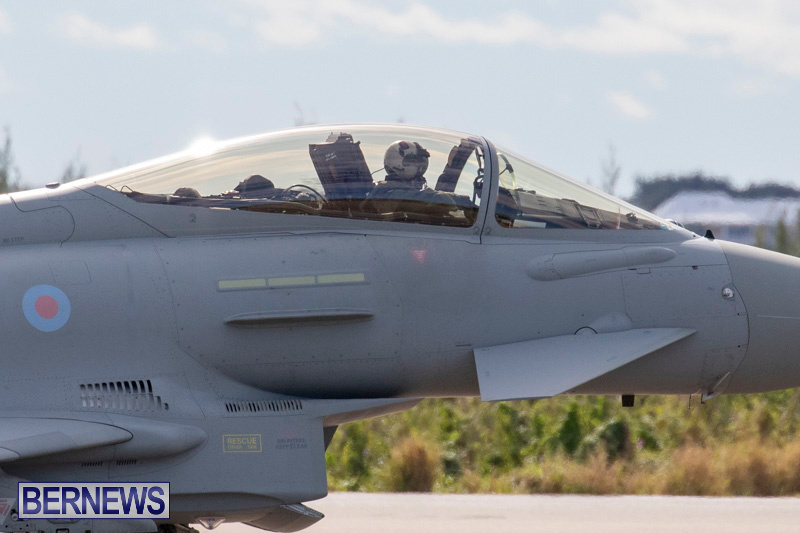 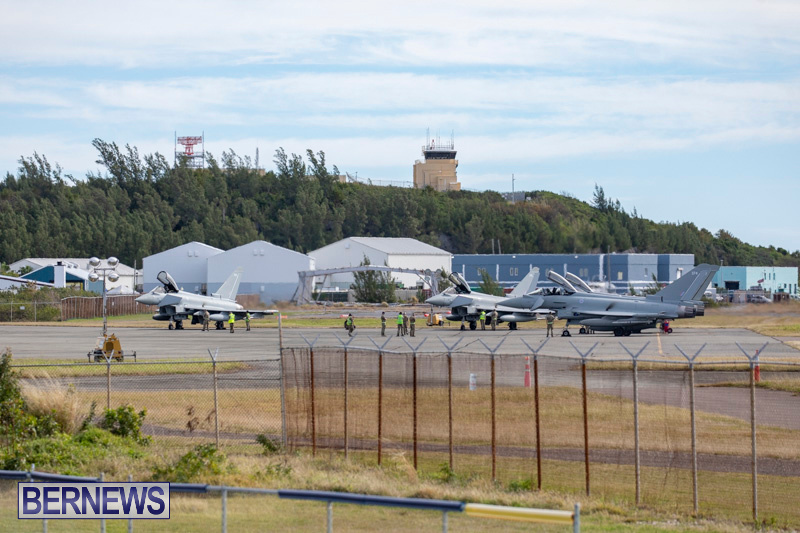 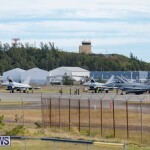 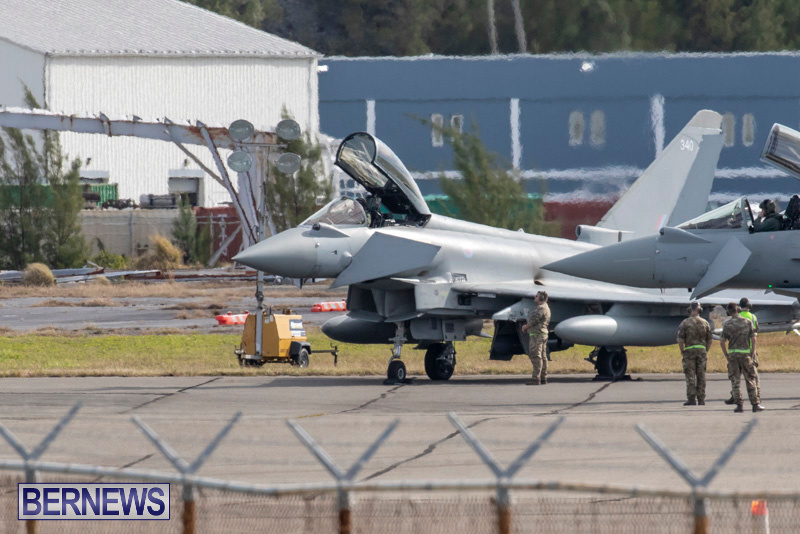 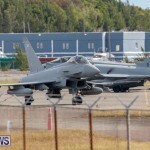 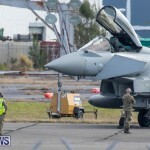 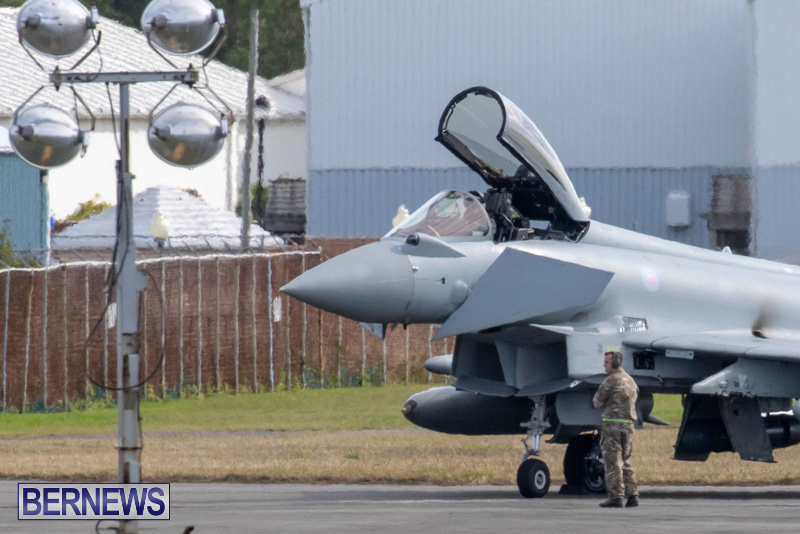 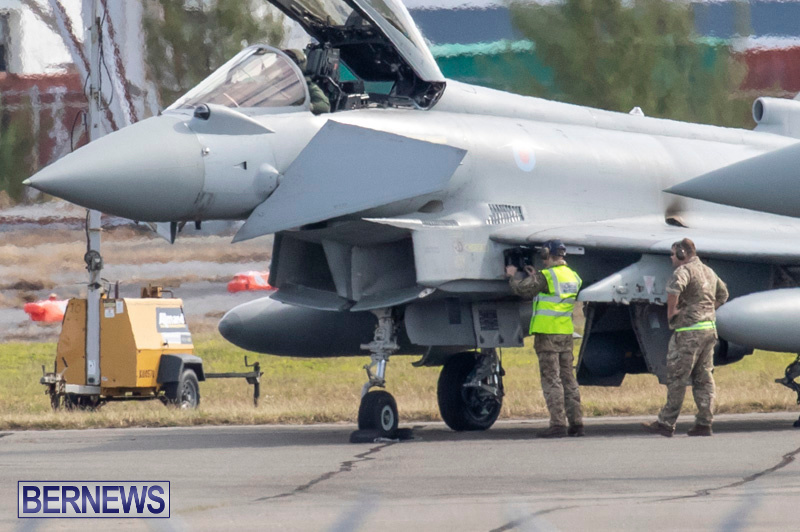 Bermuda’s L.F. Wade International Airport saw extra activity today [Jan 18] when the group of military aircraft that arrived on the island yesterday prepared to take off this afternoon. 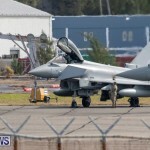 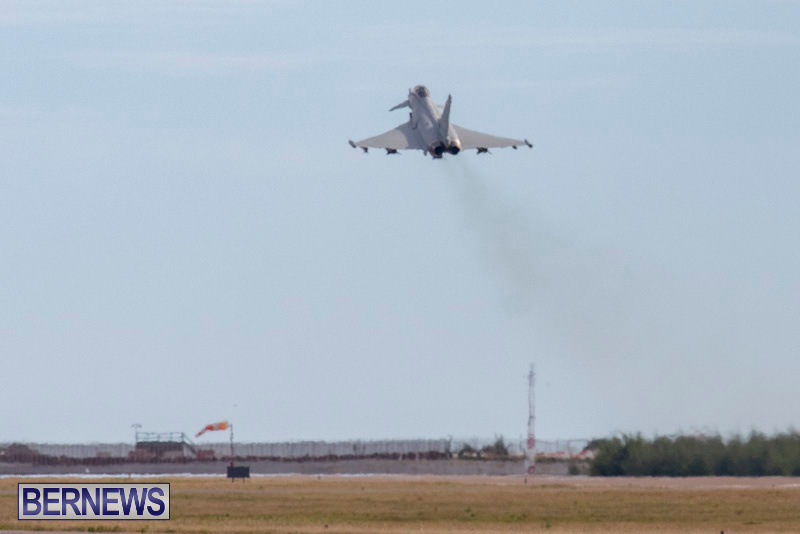 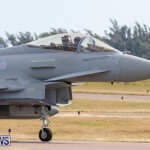 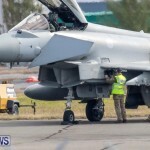 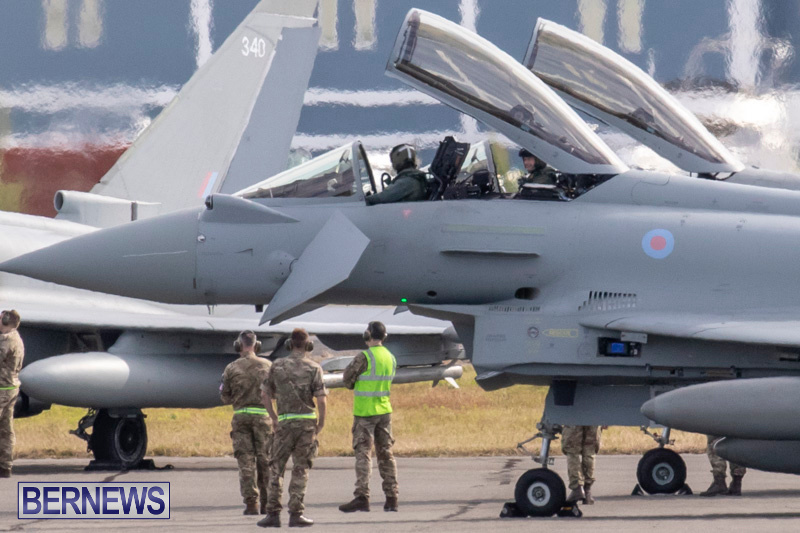 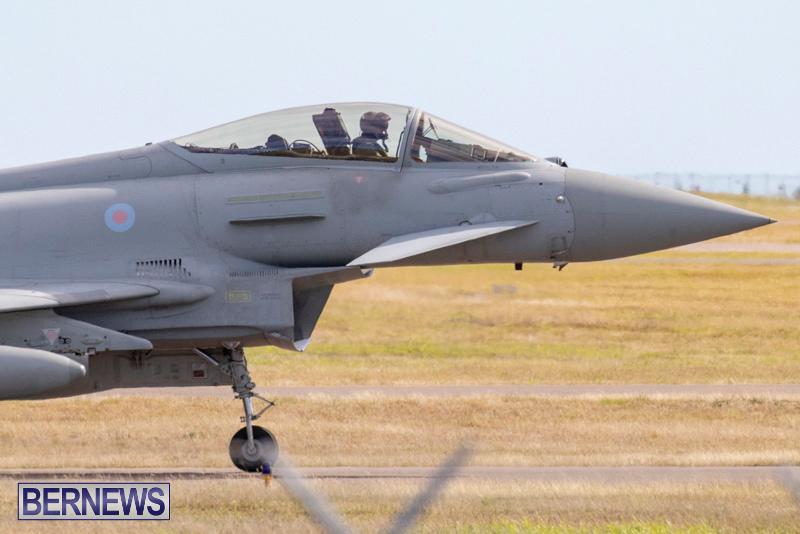 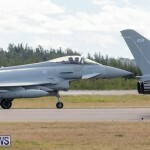 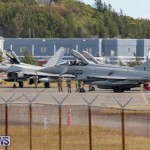 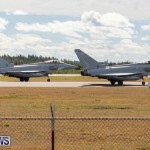 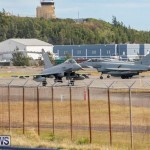 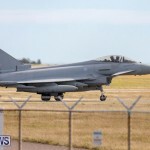 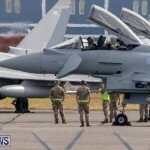 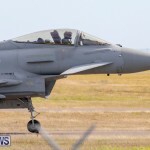 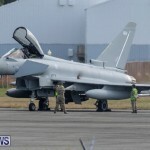 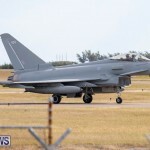 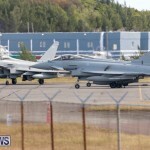 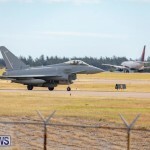 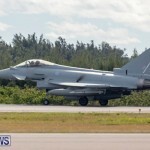 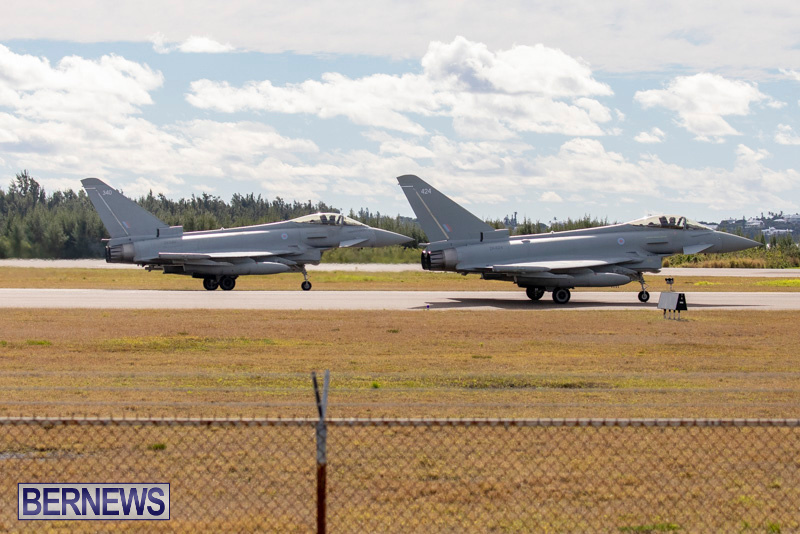 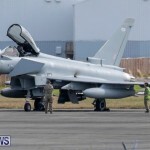 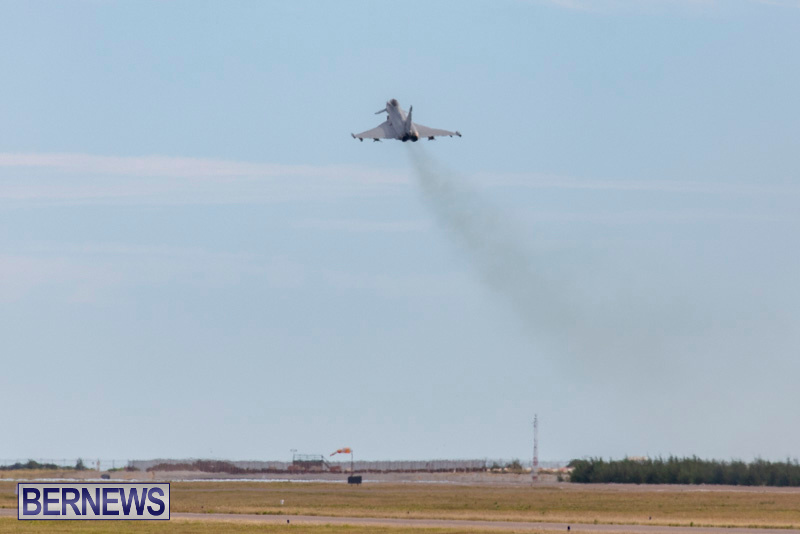 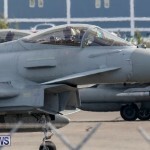 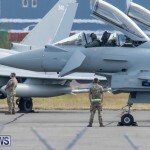 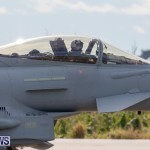 The aircraft included a Royal Air Force [RAF] A330 Voyager Tanker accompanying four Typhoon fighter jets. 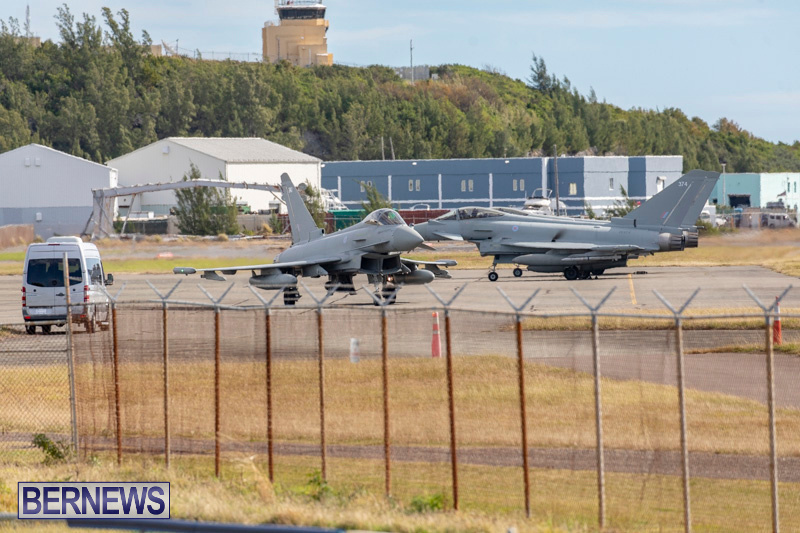 A short time after take-off, the planes returned to the island after one of the jets experienced a mechanical issue, Bernews understands. 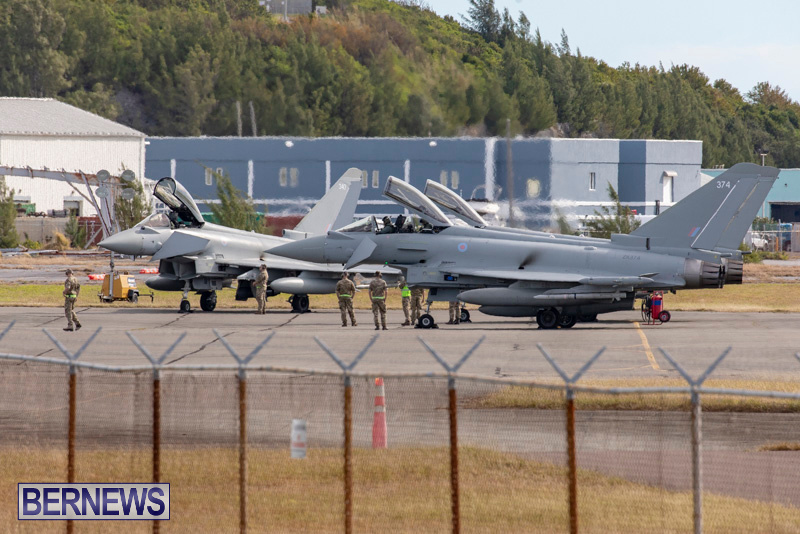 The group, minus one jet, left the island at approximately 4.00pm. 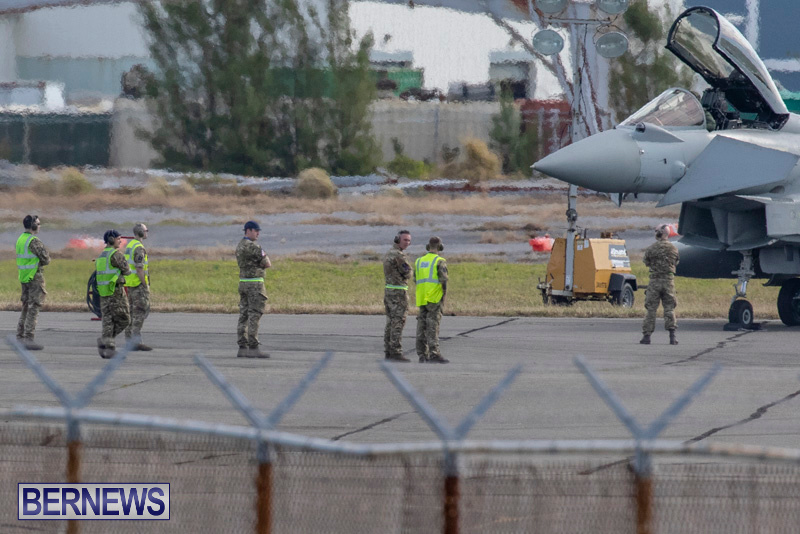 Not the first time they have left one of their aircraft behind. 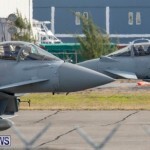 “One of Our Aircraft is Missing”…(old movie). 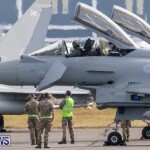 Written & directed by Emeric Pressburger. 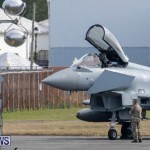 Yes, a really old old movie. 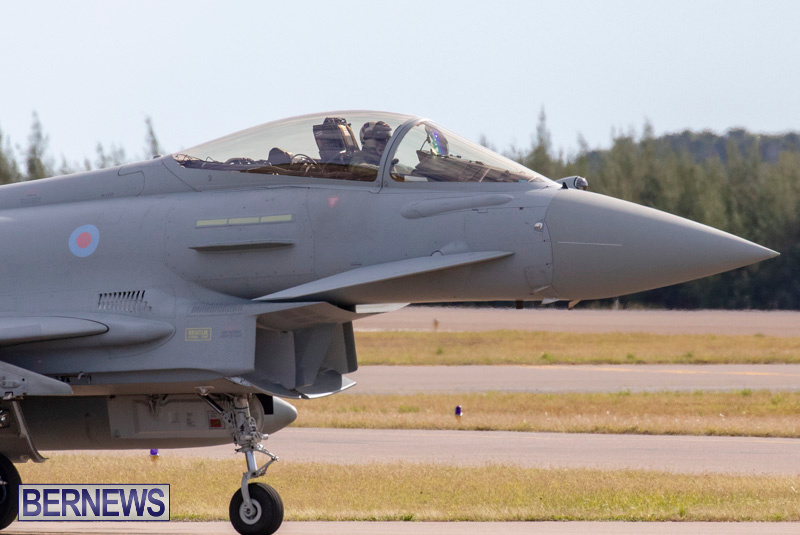 I love the classics.